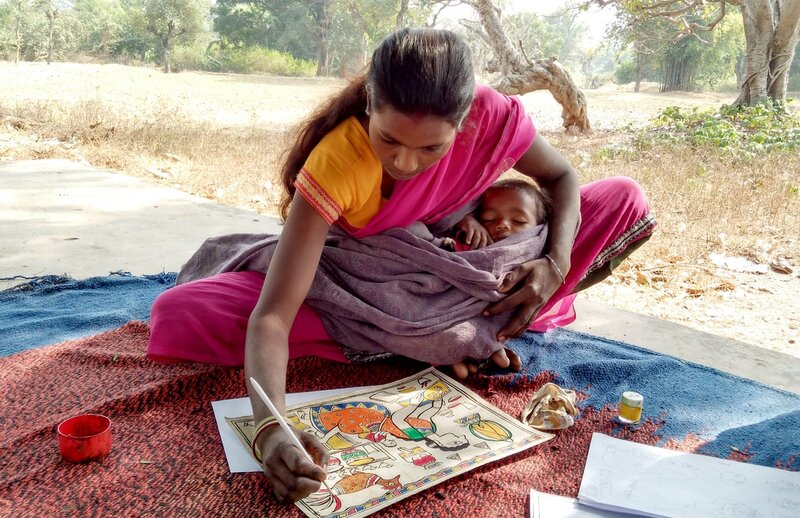 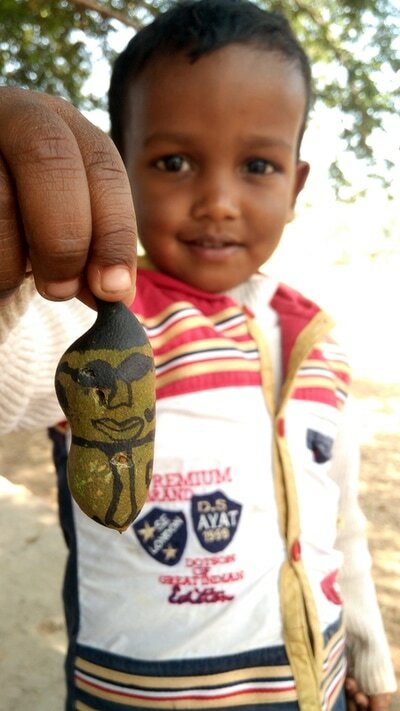 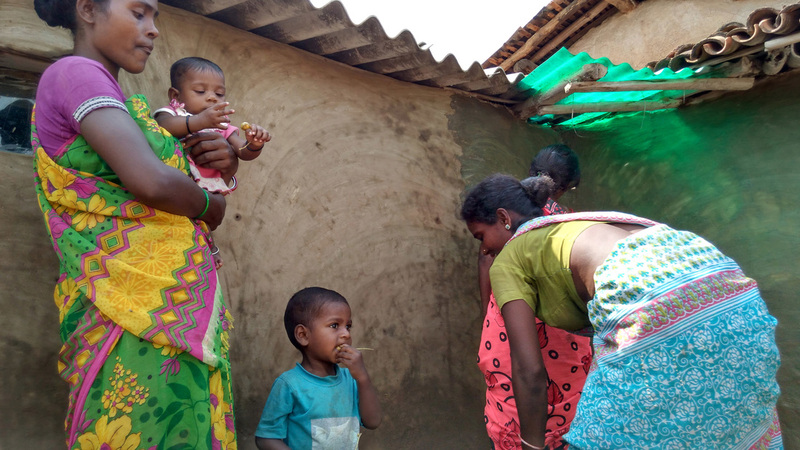 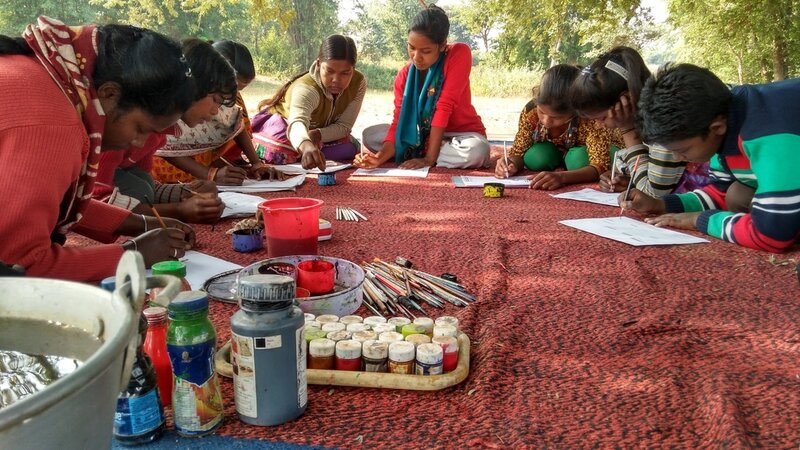 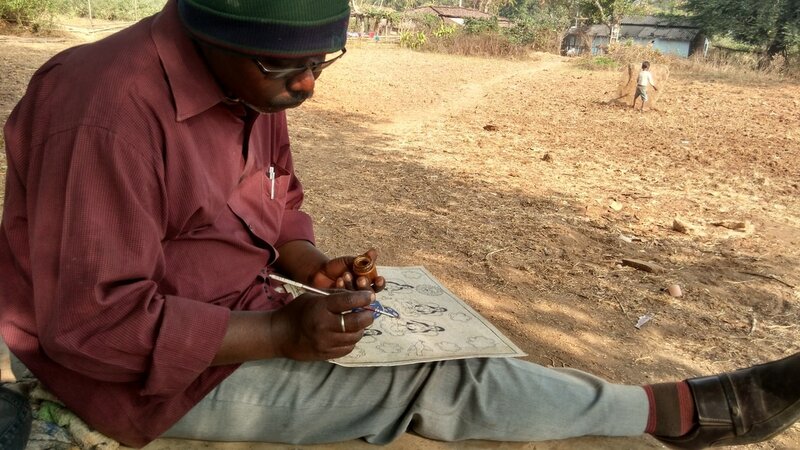 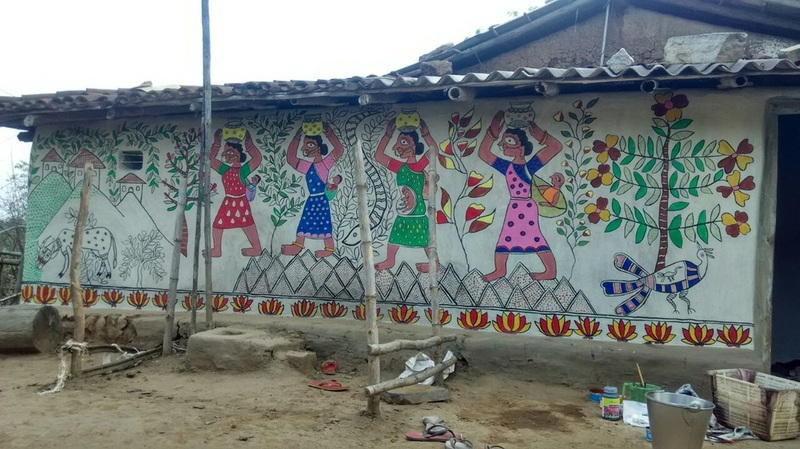 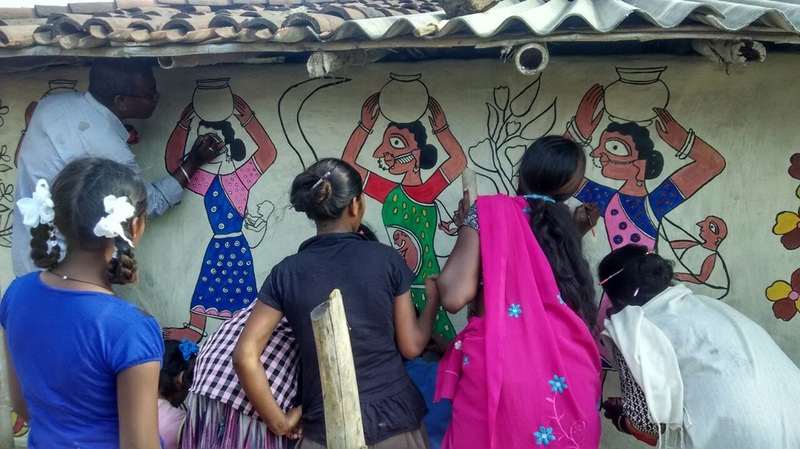 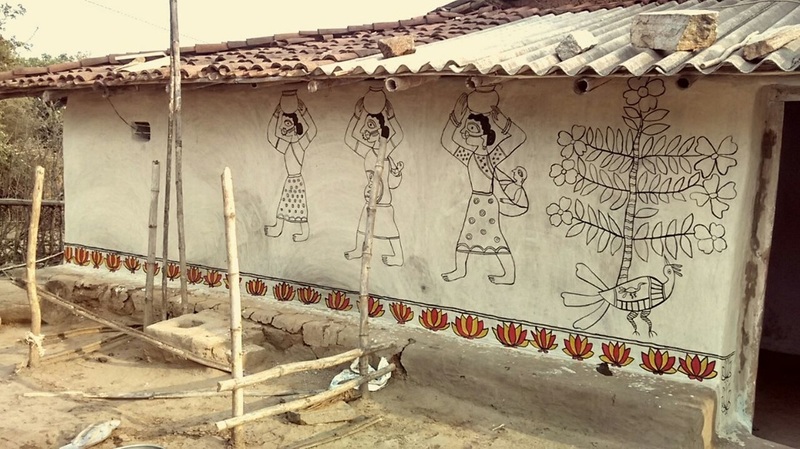 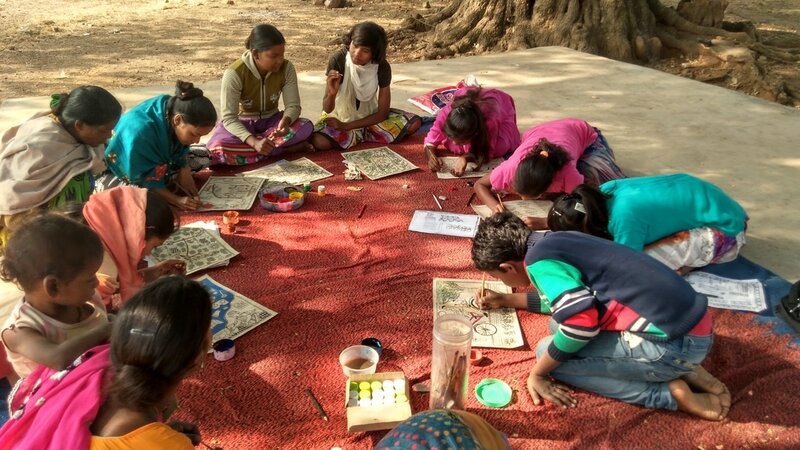 From April 2016 to April 2017, Artreach India awarded the year long Community Arts Grant to a contemporary Madhubani artist Avinash Karn to work with the women and children of village Chandidih in Jharkhand. ​The village has no basic amenities, there is very low level of literacy and people mostly depend on farming and agricultural labor for their livelihood. 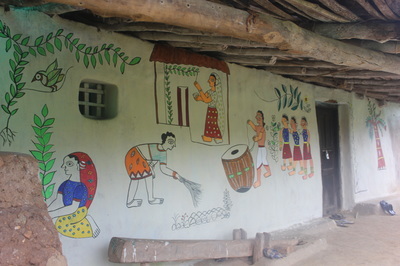 Schools and hospitals are 40 km away from the village. 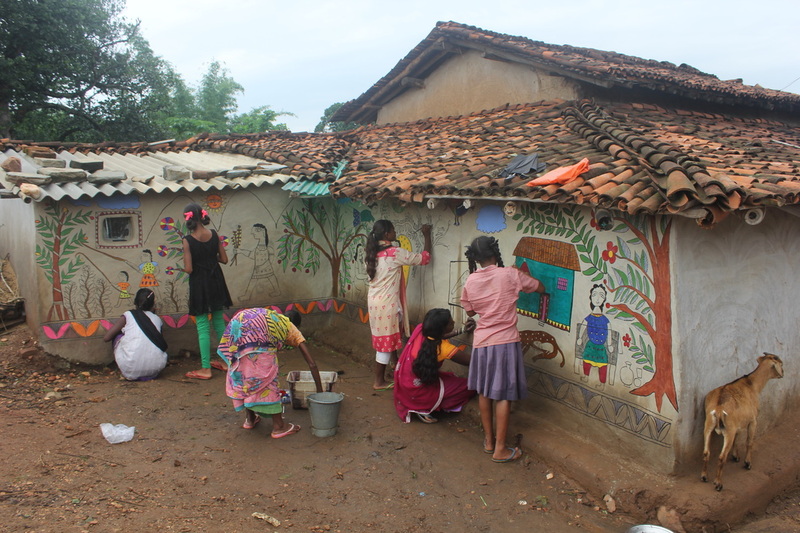 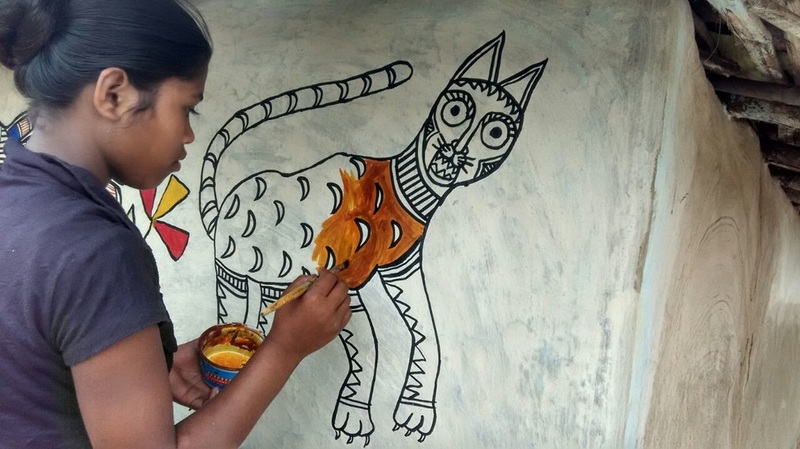 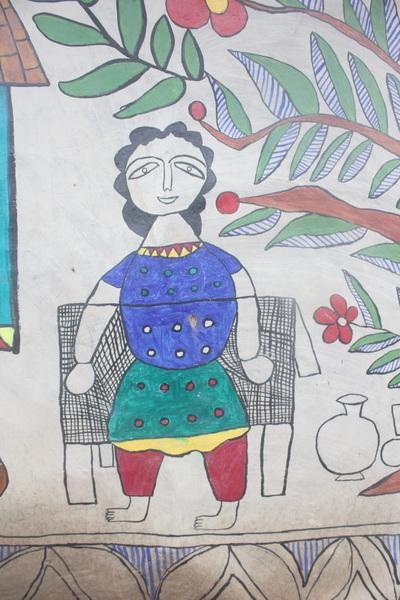 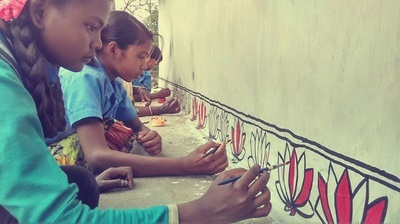 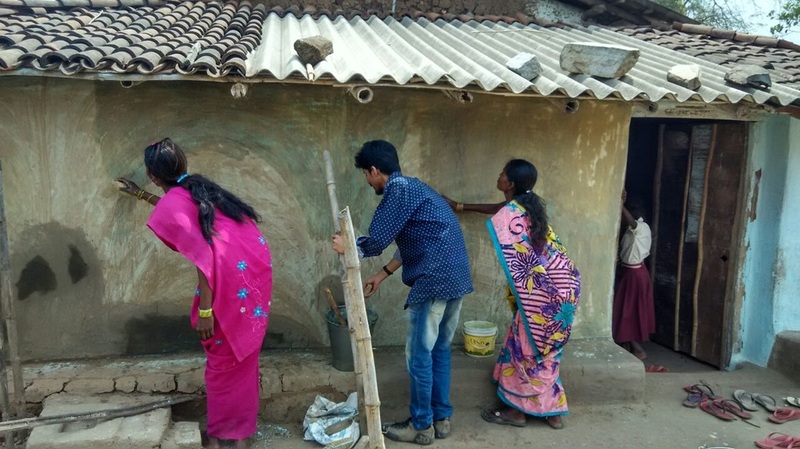 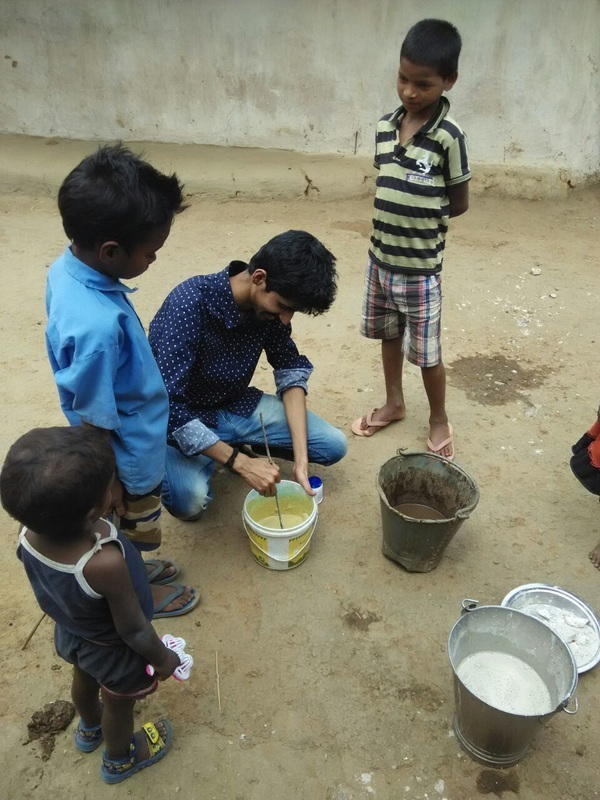 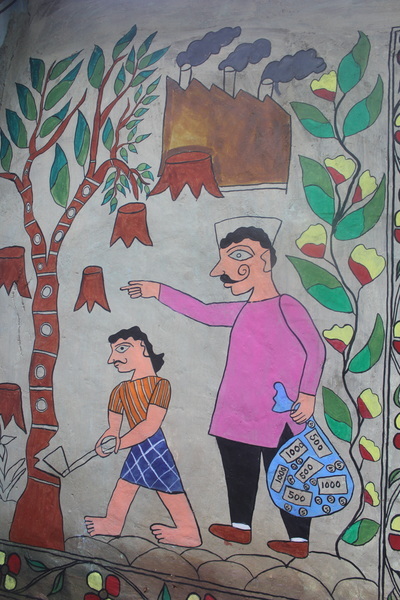 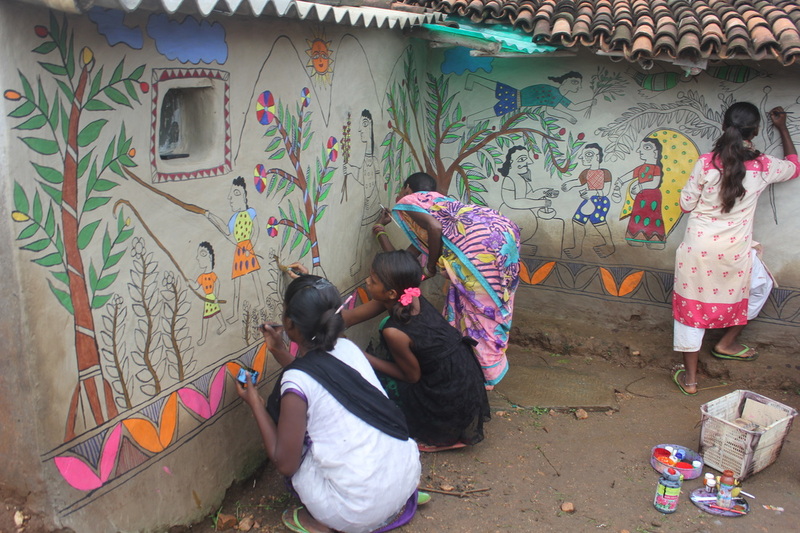 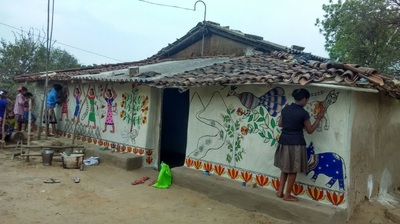 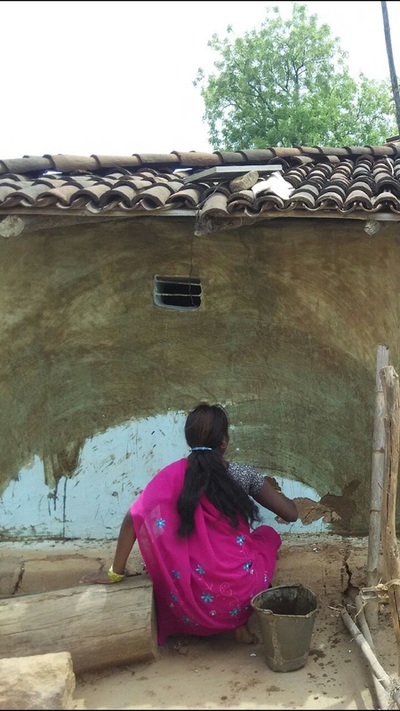 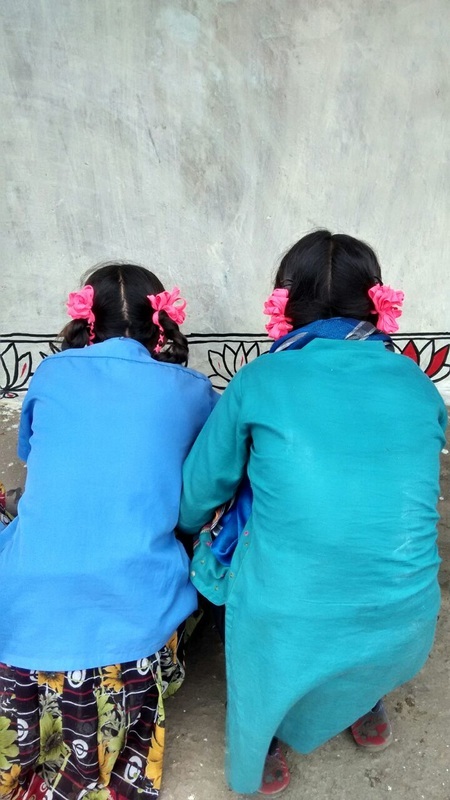 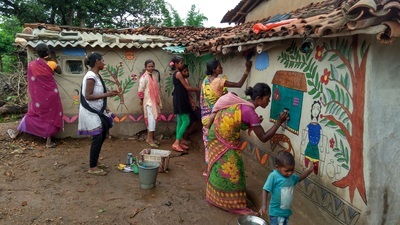 During Udbhav Avinash worked with the local community - initially women and children but soon everyone got involved - to paint eight murals at various public sites within the village. 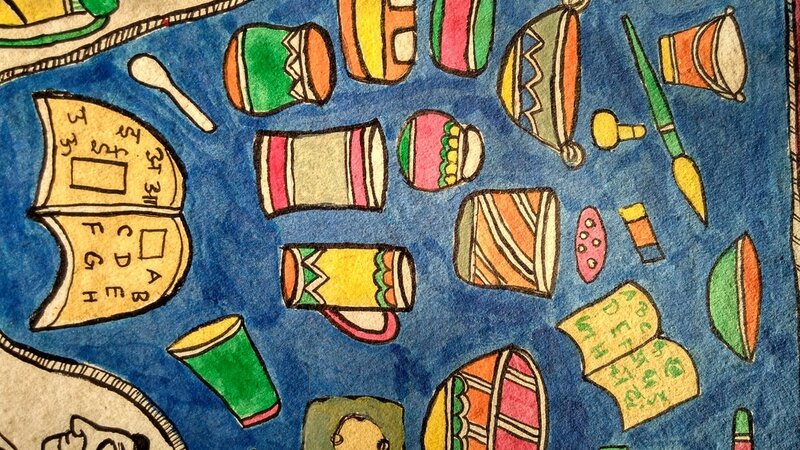 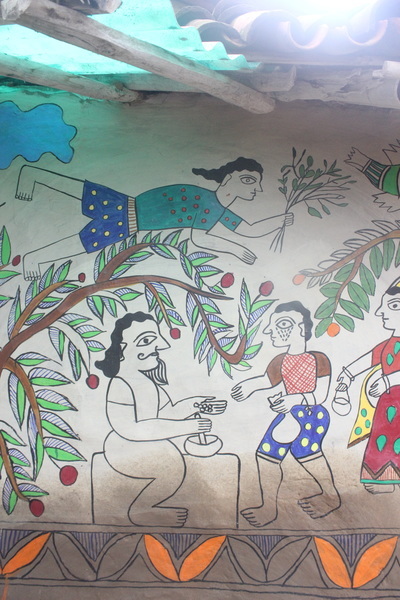 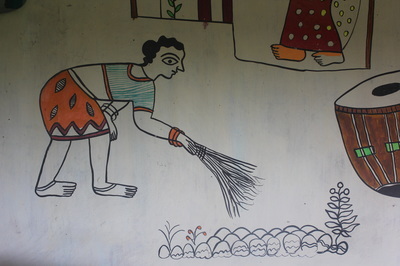 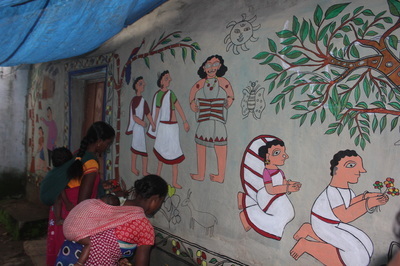 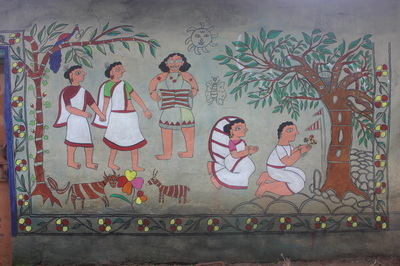 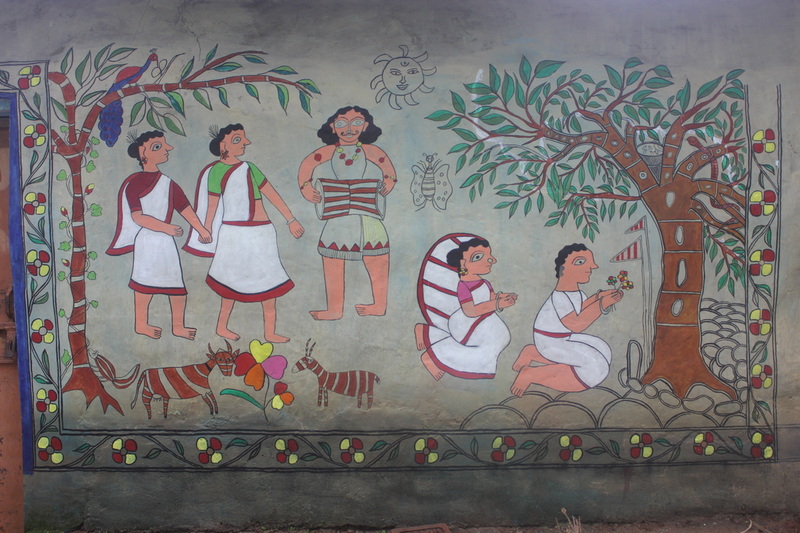 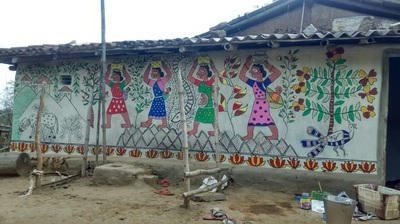 The murals used the walls of the village as a visual diary, emphasizing the situations, life, perspective and culture of the local tribal community. 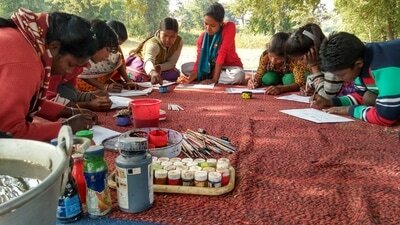 Halfway through the project the women decided to form a sunday morning painting session under the large peepul tree - a space of creativity, sharing and nurturing of painterly ambitions.